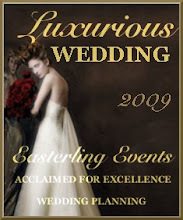 I just wanted to share with my readers another website that a few of my clients have been using to buy or resell their wedding decoration. The website is called RecycledBride. Check it out if you are looking to save money on decor or if you are looking to sell some of your gently used items.